Sam Burton drives inside against Kirtland. 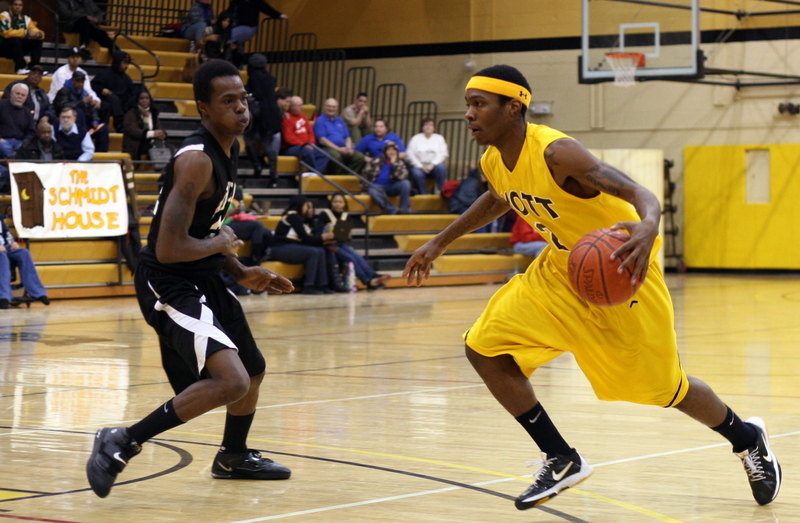 FLINT, Michigan — Mott’s 64-47 win over 13-5 Kirtland on Saturday wasn’t pretty, especially if you love great offense. Mott, now 18-2, has shown the ability to score big points (90-100 range) but also to win the low scoring, knock down, drag out games that very often appear around playoff time. Saturday was one of those, as both teams battened down the hatches in the first half, shooting a combined 15-for-60 from the floor. Mott came alive the second half, but remained unflinching on defense, holding Kirtland to 31 percent shooting for the game. Mott is now ranked third nationally for team defense.